Sea Shepherd's Jairo Med is a campaign to protect the endangered population of loggerhead sea turtles in the Mediterranean Sea on land by patrolling nesting beaches in western Italian shores around Rome and Naples, and at sea with the M/V Sam Simon by removing illegal fishing gear in the Tyrrhenian Sea north of Sicily and west of the Aeolian Islands. The first campaign took place from May through September 2017. Jairo Med volunteer crew on the M/V Sam Simon. Photo Sea Shepherd Italia. Jairo Med land volunteers on beach patrol. Photo Sea Shepherd Italia. Sea Shepherd's M/V Sam Simon retrieves illegal FADs in the Tyrrhenian Sea in cooperation with the Italian Coast Guard. Photo Thomas LeCoz/Sea Shepherd. Victim of a fishing line, a dead turtle is discovered floating near an illegal FAD. Photo Thomas LeCoz/Sea Shepherd. 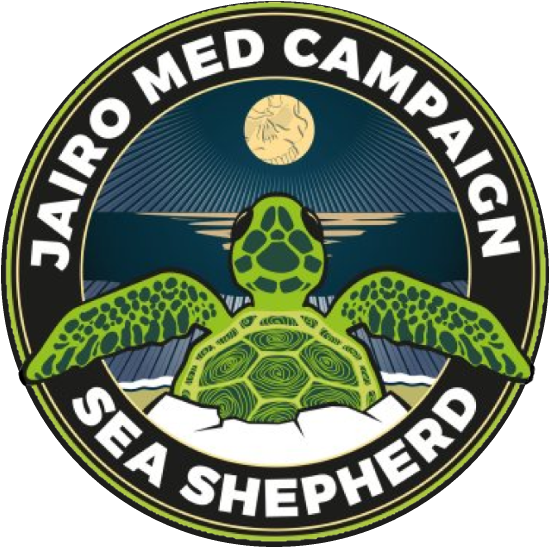 October 10 -- The Jairo Mediterraneo Campaign just ended. 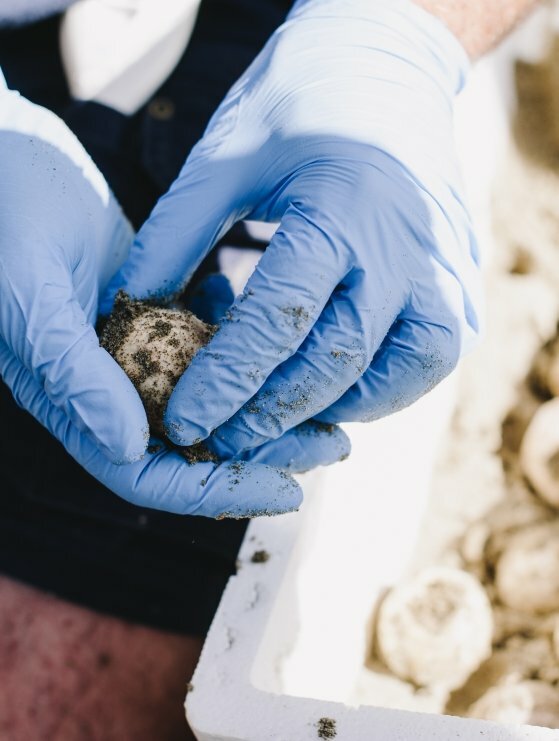 It involved 78 volunteers who patrolled the beaches along the Cilento coast to spot Caretta caretta (loggerhead sea turtle) nests and keep them safe in partnership with the Stazione Zoologica Anton Dohrn and the ENPA (National Animal Protection Organization) chapter of Salerno. The M/V Sam Simon was also a part of the campaign in the waters of the Southern Tyrrhenian Sea with her crew composed of 25 people from six different countries. The campaign resulted in several successful interventions, outlined in the first year assessment.